Replace the kettle that came with your PM50R Royalty series popcorn popper with this Carnival King PM50KETTL 12 oz. kettle. This kettle holds the corn kernels, oil, and seasoning during the popping process. This kettle comes complete with the plug, handle, and stirring assembly so that you can conveniently replace all the parts at once. 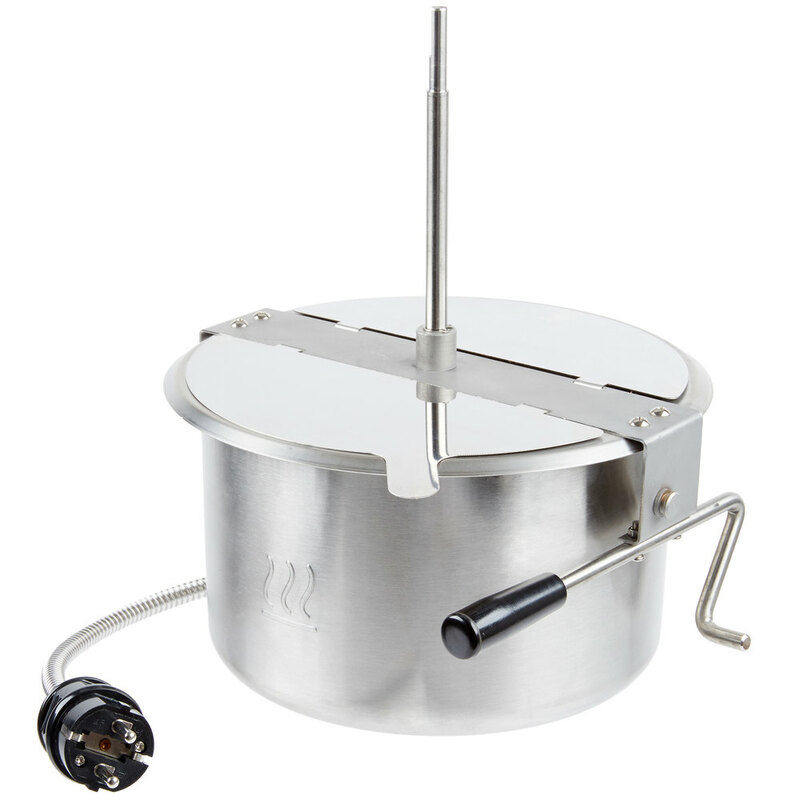 It also has the heating element built in for even warming of popcorn kernels.